I used to be so jealous of the Financial Aid Office. Nobody on campus seems to have any trouble understanding what they do for students. If you have financial issues, they are there to aid you. That's some spot-on branding right there. In contrast, and for various historical, linguistic, and cultural reasons, those of us working in Academic Support often have to make more effort to get students, colleagues, and alumni to understand the full range of what we do. Our roles in the law school community are relatively new, and have been for the most part continually evolving over the past forty years or so; neither circumstance breeds familiarity. The names chosen for our departments vary from institution to institution -- Academic Support, Academic Success, Academic and Bar Support, etc. -- which I think both reflects and compounds the inherent inability of trying to convey all we do in only two to four words. And in some cases people jump to conclusions about what we provide because of defensive or dismissive stereotypes -- like "Oh, you are here just to help the weaker students" or "All you care about is bar passage rates". When you are in a lot of distress, maybe even an emergency situation, your doctor can help keep you from suffering or dying. When you have a cold or, say, a sprained ankle -- something you might live with, sure, but why suffer needlessly? -- your doctor can help you feel and perform better. When you feel a little “off” but you're not sure why, your doctor can test for things like anemia or allergies, and diagnose and treat such afflictions before they snowball into major problems. When are feeling fine, and you want to keep from getting sick, your doctor can give you a checkup to confirm that all is well, can advise you about what preventative medicines might be wise, like a flu shot, and can make sure that you have access to them. When you are thinking about undertaking something new (like a new exercise or diet regimen), your doctor can help make sure you do it right and maybe even give you some advice on how to do it better. When you are in crisis, you might be recommended or even required to meet with me, so I can try to help you avoid academic catastrophe. When you feel you are struggling with a particular task or subject, Academic Success can help you get a better handle on things and help you perform better. When you are worried about your progress or preparedness, but you can't put your finger on why, Academic Success can review your work and then provide some diagnosis, feedback, and assistance. When things seem to be going well, but you know that new challenges (like your first set of 1L final exams or the Bar exam) are on the horizon, Academic Success can help confirm that you have developed a firm foundation and can help you map out what steps you should take to prepare. When you are thinking about undertaking something new (like moot court or a part-time job), Academic Success can help you make sure you have a plan in place to make sure your studies continue to go well, and may even have some suggestions to help improve your performance. In other words, one way of thinking about Academic Success is as a kind of Academic HMO. Sure, we are here to help students in distress, and there is no more shame is seeking our help than there would be in going to the emergency room if you were having trouble breathing. But that doesn't mean you have to wait until you're gasping and blue to come see us! Just as with physical health, academic health is often best maintained, and at the least cost, when symptoms are addressed early, before they turn into crises. And with our knowledge and experience, we can even advise students who are in good condition about how to continue to improve while avoiding potential dangers to their academic well-being. Most (if not all) law schools offer an orientation program to their incoming first-year class. But, only a few schools offer a specially tailored orientation program for transfer students and visiting students. Over the last few years, I've noticed that our transfer students were missing certain critical announcements and failing to take full advantage of the the school's resources. So, this year we decided to join the growing minority and offered a program for those students who were joining our law school community after their first-year of law school. resolving other logistical concerns, such as parking passes and the bookstore. Now that the bar exam is over, it's time to turn our attention to the incoming first-year students. Orientation is right around the corner. I have roughly 50 minutes to speak with the students during orientation about academic support programming. I used to give a lecture style overview and then distribute some handouts. The students politely listened, but few left the session enthused about the Academic Excellence Center. For the last few years, however, I've used the IF-AT lottery scratcher quizzes during orientation, with much success. Now, after adopting the scratcher quizzes, students routinely queue up to chat with me after the session. Here are the details. 1. What's an IF-AT Quiz? According to the creator's website, the "Immediate Feedback Assessment Technique, also known as the IF-AT, is an exciting and revolutionary new testing system that transforms traditional multiple-choice testing into an interactive learning opportunity for students and a more informative assessment opportunity for teachers." In more direct terms, it's a small card that looks like a lottery scratcher. The correct answer has a star (*) underneath, while the wrong answers are blank. Students can take a guess from the four options. If they are correct, they'll see a star and get full credit for the question. If they are wrong, then they'll see a blank space, and have the opportunity to select again from the three remaining responses. You can buy the scratchers online. The smallest box available for purchase is a 10-question, 4 answer choice batch of 500 scracthers at a cost of $90 plus $15 shipping and handling. You can also get longer and more complex quiz formats at a slightly higher price. I only use about 20 scratchers at orientation for an incoming class of 100 students. So, for just $115, I now have enough scratchers to last me for my entire ASP career (assuming that I'm only using the scratchers at orientation). 2. What kind of questions do you put on the orientation quiz? 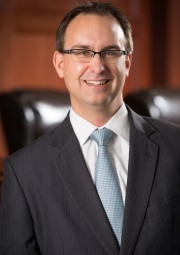 -- Before joining WVU Law, Professor Trychta worked as: (a) a family law attorney, (b) a judicial law clerk, (c) a federal prosecutor, or (d) a professional writer. -- Professor Trychta is available to meet with students: (a) on a first come, first serve, walk-in basis anytime; (b) on a first come, first serve, walk-in basis during posted office hours; (c) with or without an appointment at any time; or (d) by appointment only. -- There are 13 subjects on the essay section of the Uniform Bar Exam (or West Virginia bar exam). How many of those subjects are required at WVU Law? (a) 7, (b) 9, (c) 11, or (d) 13. -- The biggest challenge for most first-year law students is: (a) understanding the reading assignments, (b) balancing time commitments (a.k.a. time management), (c) getting “cold called” in class, or (d) learning the legal vocabulary. -- Which is a true statement? (a) Professor Trychta once walked 125 miles in 4 days. (b) Law students should practice multitasking while in law school, because it is valuable skill for young lawyers. (c) Because of the volume of material discussed, your computer is a must-have in the classroom to take notes. (d) For the best results when studying, read the material over and over again until you know it cold. -- How many hours per week should a law student anticipate studying outside of class? (a) 17-34 hours per week, (b) 34-51 hours per week, (c) 51-68 hours per week, or (d) there is no magic number. -- During the fall semester, the Writing Center will periodically offer writing workshops on which day of the week? (a) Monday, (b) Tuesday, (c) Wednesday, or (d) Thursday. Each question is designed to invite conversation among the students and between the students and myself. 3. How do you administer the quiz? I hand out a copy of the quiz to every student. I then give each student about 3-5 minutes to look over the quiz individually and to mark their preliminary guesses. Next, I put the students in small groups and distribute the IF-AT scratcher. I tell them that they must work together to select the best answer, as a group. Students are told that the group with the highest score will receive a small prize. Groups earn 3 points if they select the correct answer on their first try, 2 points for a second choice, 1 point for a third choice, and no points if the correct answer is the only answer remaining from the four original choices. The maximum scores is 30 points. After each group has a chance to complete their card, I review the answers with everyone. The quiz review component goes quickly because the students already know the right answer (from completing the scratcher) and have already discussed the pros/cons of the other answer choices. I'm simply reinforcing what they discovered for themselves earlier in the session. 4. What if you don't have a designated timeslot during orientation? For this upcoming year, in an effort to better streamline the overloaded orientation agenda, I agreed to move my ASP session to one of the catered lunch breaks. It's now a working luncheon. I plan to place copies of the quiz on the round lunch tables prior to the students arrival. Once everyone is seated with their meals, I'll explain the rules to the game. The students can then eat and chat about the quiz, in a relaxed setting. I fully expect that the lunch table layout will actually foster and aid the group project, not hinder it. I also plan to walk around the room and introduce myself to the lunch tables. By the time I say hello to each table, it will be time to tally up the points and declare a winner. So, if you don't currently have a designated time slot, and the students have a catered lunch break, I recommend asking if you can turn the lunch into a working ASP lunch. I'm a new fall 1L! How much should I get involved in extracurriculars during the fall semester? Law students are the "cream of the crop" out of undergraduate, graduate, and employment situations. Typically they have been very involved in student or community organizations; often they have held multiple leadership positions at once. Many worked part-time or full-time during their studies. Some had additional family responsibilities while studying: elder care, child care, marriage. In short law students are "doers" in their pre-law-school lives. They have juggled a variety of experiences while getting A and B grades in school. Often they tell me they "never had to study" to get those top grades. Many tell me that they studied under 20 hours per week; some tell me that they studied under 10 hours per week. They also tell me they wrote papers the night before and never studied more than a couple of days for tests. When academic pursuits come easily, it leaves lots of room for other pursuits. The cohort in the first-year class is different than the past cohorts in most classes. Remember all of you are from the "cream of the crop," and consequently the outstanding level of intelligence and achievement of your new classmates is likely different from the past. Law students were accepted to law school because they excelled in their prior lives. Law school is different than other educational experiences and will require new learning strategies and study skills for success. All first-year students find the fall semester an adjustment as they face different expectations for classes and exams. The pace of learning is faster in law school because more material that is dense and complex is covered in a semester. On top of preparing for class, law students need to synthesize the material and practice application of that material to new fact scenarios to prepare for best exam performance. Legal research and writing courses require lengthy projects using different analysis and writing skills than previously acquired. Even excellent writers previously have to retool their techniques because legal analysis is more precise and concise. A well-written legal writing project can take consistent work over several weeks with multiple drafts. Attend any student organization fairs that your law school holds to find out more about the variety of student organizations: purposes, events, requirements for membership, time commitments. Attend sessions that may explain community opportunities for your involvement: pro bono clinics, volunteer opportunities, service organizations, local bar organizations. Consider any school requirements on your time as a law student: required pro bono hours, mandatory extended orientation meetings for first-year students, supplemental study group-tutoring sessions. Consider your personal interests and career goals that may match student organizations or community opportunities: oil and gas law, criminal defense, immigration law, homeless populations, animal abuse, diversity. Consider time commitments that you already have outside law school: elderly relatives nearby, spouse/partner, children, pets, religious services, national guard service. Weigh all of these factors and look for balance in your commitments in all areas of your life; determine your priorities for your time - both academic and non-academic. Become involved in one or two activities that are good matches for you; focus on being a member who regularly attends meetings, social events, and speakers. You will get to know other students (especially upper-division students with whom you have no classes), feel more connected to the law school community, and have several items for your resume. Possibly consider being on a committee for an organization, but probably avoid being a committee chair or an officer during your first semester. There will be plenty of time in future semesters to take on positions of leadership. If you choose a "heavy-hitter" commitment such as Student Bar Association or class officer, be even more aware of not stretching yourself too thin your first semester. If you are a soon-to-be-first-year law student, you may find that it takes you several weeks to get acclimated to all of the new technology lingo used in law school. You'll be expected to quickly familiarize yourself with several new websites and research platforms. To help you get a jump start, I’ve created a list of the most common technology resources you'll encounter in your first few days of law school. Westlaw and LexisNexis are the two most popular web based legal research databases--essentially Google for lawyers. While these research tools require costly subscriptions for lawyers, law students get to use them for free. Each company's site has its own strengths and weaknesses (i.e. think Walmart and Target), and I encourage you to become comfortable using both services, because you never know which company your future employer will prefer. To get started, you'll need a registration code or password from your law school. While you are waiting for the registration code to arrive, you can watch tutorial videos online to become familiar with the basics of Westlaw and LexisNexis. Both companies have even more training videos available after you officially login. Your law librarians or legal research professors may also recommend additional research resources such as HeinOnline or Fastcase. TWEN (accessed via Westlaw) allows professors to post materials for download, assign quizzes, and send class announcements. You will need to affirmatively register for each of your courses using the "add course" tab. E-Campus (a.k.a. Blackboard) has the same features as TWEN, but you are typically automatically enrolled in the course. Star or Banner is used by many schools' registrars for course registration, add/drop, and grade dissemination. Barbri, Kaplan, and Themis are three of the most popular bar preparation companies. Each company also offers first-year and second-year study materials, including outline books, lecture videos, and practice exams. Your law school may have a business relationship with one or more of the bar preparation providers. If so, be sure to take advantage of any free resources the company provides. I caution you, however, against paying out-of-pocket for anything extra. You can usually get enough free resources through your law school, such as from the Academic Excellence Center or library, that paying out-of-pocket is unnecessary. CALI is a non-profit organization offering practice quizzes and tutorial videos for virtually every law school subject. CALI is free to all law students. You just need a registration code from your law school to get started. Many students report that Quimbee is helpful during the first year, but Quimbee will cost you extra. Quimbee, like the other supplemental study resources mentioned above, provides case briefs, outlines, lesson videos, and practice questions. Finally, many new law school textbooks come with a registration code, granting you access to free online study resources. Check the inside cover of your textbook for more details. I'm a new fall 1L! How will law school be different from past educational experiences? Law school is different from most prior educational experiences because it is a professional school using different learning and testing experiences than what undergraduate and graduate education use. Students who treat law school just like undergraduate school are frequently disappointed in their first-semester results. You are learning relevant skills for your career in each course. In prior education, we often had courses that had no future impact on our lives: general education courses, interesting but unrelated electives, majors that we did not intend to use after university. In law school, each course is providing you with one or more skills needed in the daily practice of law: analysis of case precedents and statutes; legal reasoning skills; analysis of both sides of a legal problem; precise/concise legal writing; policy arguments; judicial reasoning; procedural rules. The skills in each course build on the skills in previous courses and ultimately determine one's readiness to practice law upon graduation. In addition, much of the content from required courses is tested on the bar exam after graduation. Time spent in successful law school learning (as opposed to short-term studying) pays off in the future in major ways. What you do in class each day is important, but is not what you need to do on the exams. Law school exams focus on applying the law that you have extrapolated from reading appellate cases/statutes for the topics and subtopics in the course. In class you look at cases/statutes to understand what the actual law is and why that is the law. You learn how to tear apart cases/statutes to understand the law, how courts analyze the law, and how lawyers argue the law. On exams you typically are asked to solve a new factual scenario by applying the law and analyzing the arguments for both sides of the dispute. You need to synthesize the law (make connections across the "black letter law": rules, variations of rules, exceptions to rules, policy arguments, etc.) for topics/subtopics and apply that deeper understanding of the law to the analysis. As a lawyer, you will read and analyze cases/statutes every day and then apply that law to construct arguments to solve your client's legal dispute. Your professors expect you to prepare thoroughly for class and will not spoon feed you. Law students often tell me that prior professors told them exactly what to learn for the test so that they did not have to learn any material independently. They just copied down notes and memorized the material to regurgitate on the exam. In law school, professors expect you to not only read the cases carefully, but also understand how those cases fit together before you come to class. They will hit the highlights and make some connections (again that idea of "synthesis"), but will not tell you exactly what will be on the exams. You need to synthesize (again that word!) what you learn each class into the larger topic/subtopic and understand how to use the material to solve legal problems. Memorization of the "black letter law" is essential, but only the beginning of your learning for exam success. Law students often think they just need to memorize the law to succeed academically. You must know the law well so that you can to spot the legal issues in dispute ("issue spotting") and accurately state the law that applies. However, you then need have the higher-learning skill of understanding that law (why it works the way it does; when variations or exceptions come into play; when policy arguments might be appropriate, etc.) to gain points on the exam. Application of the law to the new scenario facts and analysis of the legal arguments are major skills for exam success. Evaluating the arguments for both parties to state a conclusion is needed - but the application and analysis are where the big exam points typically are. Exams are typically comprehensive over all of the 15-week semester's material. Many law students relate that they never had a comprehensive exam before law school. They had four or five tests over a semester that covered pieces of the course, but never put the entire course together at one time. They did well on those partial exams because they could cram a limited universe of knowledge, dump it on the exam, and forget it afterwards. Because law school exams tend to cover all of the course material, law students need to review the material and practice applying it throughout the semester; there is too much material to cram everything at the end and have enough time for applying that material to practice questions before the exam. Important study steps (outlines and practice questions) are needed beyond daily class preparation. It is very easy to get caught up in class preparation and not include other important study steps in your weekly schedule. Because synthesis, application, and analysis are critical to exam success, law students have to manage their time carefully to allow time for regular synthesis and regular application. Outlines flip your thinking from individual cases to concepts and inter-relationships within subtopics/topics that support analysis. Practice questions after review allow you to apply the law to varied fact scenarios and practice analysis and evaluation before the final exam. You are not alone in trying to make these adaptations! You have a number of people who are there to help if you take advantage of the resources offered to you. However, you need to use the resources to gain the benefits. Many professors will initially help students in class to see how to analyze cases and synthesize them into topics/subtopics. They may offer fact-scenario questions so that students can practice application and analysis. Professors are available to answer questions outside of class. The academic support/success professionals at your law school will offer workshops on a variety of study skills that lead to academic success. You can also request individual appointments with those ASP folks. Many law schools have upper-division teaching assistants/tutors to supplement your first-year classes. Many law schools also offer writing specialists or writing centers to assist you. I'm a new fall 1L! What should I do this summer? Congratulations to all of our readers who are entering law school this fall! We look forward to welcoming you into our law school families. Studying the law is fascinating, but it can also be a challenge. However, don't spend your summer stressing out about the new path in front of you. Spend this summer enjoying your summer while still taking some proactive steps for law school. Spend quality time with family and friends. Many law students attend law school away from home. For some law students, it will be the first time they are far away. Take time now to make positive connections with the people who matter to you and build memories that will sustain you in the busy months ahead. You will find that going home every weekend will most likely not happen during law school because of deadlines and workload. So enjoy your favorite people this summer while you have more flexibility. Organize your arrival in your law school city for several days before orientation starts. Orientation Week at law school will be very busy. Unlike other educational experiences, assignments will be heavy in all courses from the first class. If possible move in to your new apartment 5-7 days ahead. That gives you time to unpack boxes, get cable/internet hooked up, explore your city, stock groceries, etc. Your entry into law school will be more relaxed if you have some settling-in time before you report for orientation. Make careful reading for comprehension an every day habit. Spend the summer reading mysteries, romance novels, the classics, news articles, biographies - don't read legal tomes about torts, civil procedure, or contracts. (You will read more pages in law school than you have probably ever read in your life, so there is no reason to start reading law yet.) Our digital lives prompt us to skim and read superficially, but legal cases and documents are dense and will require careful reading for comprehension. So make it a habit this summer of reading carefully. Read entire articles and books instead of headings and random paragraphs. Ask questions about what you are reading to check your comprehension. Look up vocabulary you do not know. Good reading habits will pay off. Brush up on your grammar and punctuation rules. Communication is the bread and butter of lawyering. Law students are often surprised at how important grammar and punctuation are to legal writing. Litigation outcomes can be determined by the correct placement of a comma in a contract! A summer review of these rules can boost your confidence in your legal writing course this fall. Write down the reasons you want to go to law school and become a lawyer. Be more reflective than just what you put in that personal essay for your application. It is not uncommon for law students to wonder at times during their legal studies why they went to law school and why they wanted to become a lawyer. Your list of reasons can be a morale booster if you get bogged down in reading cases, writing papers, and taking final exams and temporarily lose perspective. Practice setting a schedule. Once law school starts, your time will need to be very structured to complete all the necessary study tasks. Most successful law students study some in the evenings and during the weekend as well as daytime hours Monday through Friday. You will become more adept at time management if you can get used to setting a routine schedule for your summer tasks: work, family responsibilities, chores, errands, sleep, meals, exercise. Recognize and manage the distractions in your life. Most of us procrastinate at least some of the time. Today's world offers us a myriad of distractions to encourage avoidance. Determine what your time wasters are and get them under control this summer, so you can better manage your time once you get to law school. Here are some common time wasters that law students have to conquer: electronic interruptions (email, social media, phone calls, texting, surfing the Internet), video games, TV marathons, naps, midweek partying. Read one good book about succeeding in law school. Some suggestions are: Expert Learning for Law Students by Michael Hunter Schwartz; 1L of a Ride by Andrew J. McClurg; Succeeding in Law School by Herb N. Ramy; 1000 Days to the Bar by Dennis J. Tonsing. There are other good books written by academic success professionals and law professors, but these four are classics. Ready. Set. Go, 1Ls--You are in Training Camp Now! We just completed our first week of school at Carolina Law. Like many law students throughout the country, our 1Ls experienced their first week of Socratic classes. They read and briefed their cases. They’ve been introduced to legal citations and the hierarchy of authority. They’ve taken advantage of the free lunches provided at the various student organization meetings. After a week of law school, many 1Ls may wonder whether they will have enough time during the day to stay afloat. They may worry that they are spending way too much time reading their cases. And despite the large amount of time that they are devoting to reading their cases, they may mistakenly fear that they are the only ones in their classroom who are not able to fully follow the various hypotheticals that their professors ask in class. They may question whether they are fit for law school. 1Ls: If you are feeling this way, remember that law school is a marathon. There may be times during the year when you feel like you have to run a little faster than normal. But, the sprint for the finish line is really not until the end of the semester when you have to answer the final exam hypotheticals. Consider a lot of what is happening during the semester as your training for that sprint. Yes. You might falter every now and then as you train. But, don’t get discouraged. Try to learn from the misstep, and fine-tune your next step so that you continue to progress. You are just starting to develop your critical thinking muscles. You are beginning to strengthen your ability to perform legal analysis. You are establishing a foundation of stamina that will help push you through the marathon—including the sprint to the end. Like many athletes who start a new sport season, you are in a training camp right now. And this training camp is unlike any other training camp you have experienced before. Learning how to learn the law takes time. It takes practice. It takes repetition. Keep putting in the time, because the more you practice, the better you will get. But, make sure that you are active and engaged when you are reading and studying. You can’t passively learn the law; you have to be present and in the moment. And make sure to leave some time for you to do the kinds of things that make you “You.” Law school is a big part of who you are right now. But, it is not all of you. You will find that it will take you less time to read and brief your cases in the next few weeks. You will find that your critical thinking skills will begin to improve. You will find that your ability to synthesize rules and apply those rules to different factual scenarios will become easier and, dare I say . . . fun! I have returned to some normalcy after the conclusion of our two pre-orientation programs. Our Legal Education Advancement Program (“LEAP”) is a voluntary pre-orientation program available to every incoming 1L student at Carolina Law. Faculty members participating in LEAP help students transition to the study of law by introducing them to a variety of topics, including jurisprudence, case briefing, exam writing, and the Socratic class. We had 56 incoming 1Ls who chose to participate in our first LEAP session a week and a half ago. We had another 47 incoming 1Ls who chose to participate in our second LEAP session last week. The total was nearly half of our incoming 1L class! I am sure many ASP folks will agree that it can be an interesting feeling running these pre-orientation programs: it’s weirdly both draining and energizing. You can feel really drained from the immense amount of work that goes into preparing for and delivering the program. Yet, you can also feel energized when a new set of students enters your law school building. You feel a certain thrill and special motivation knowing that you get to be a part of the start of the students’ successful transition into the study of law. You know that your students are going to do great things during and after law school, and you are lucky to help train them on this wonderful marathon. Seeing light bulbs start to go off in your students’ minds during your programming, and receiving positive responses from faculty, staff, students, and administrators are icing on the cake. Like many of you, I had a great group of folks who helped out during our pre-orientation programs (many of whom I thanked and tweeted about @ojsalinas). I also appreciated how many faculty, staff, and administrators came out to meet and have lunch with our LEAP students. Wishing everyone a great start to another academic year! I mentioned in last week’s blog about my inability to remain focused on our law school's voluntary pre-orientation program for incoming 1Ls due to events related Charlottesville. As I continue my efforts to remain focused, I’ll try to spend a few minutes talking about a topic that many of you likely discuss with your students, either during a similar orientation or pre-orientation program or in workshops or individual conferences: whether students should handwrite their notes or take them on a laptop. The use of laptops in class rightfully generates much discussion on faculty and ASP mailing lists, particularly at the start of the semester. The discussion has even entered the Twitter realm (for example, here and here; H/T Prof. Ellie Margolis and Prof. Katherine Kelly). I know there is a lot research and concerns out there relating to laptop use and taking notes. For instance: (1) students may often find it difficult to follow classroom dialogue while trying to type everything down that is discussed in class; and (2) there are potential distractions related to laptop use in class—both for the student doing something that he/she should not be doing on the laptop and for those students sitting near this student. I don’t necessarily disagree with the research and concerns. I understand that laptops can create tempting distractions for our students. And I agree that we don’t want students “zoned out” from using laptops in our classes. But, we should also not want to “zone out” students who may need to use a laptop in class as a critical learning tool for them. So, I want to caution folks before they decide to ban laptops entirely in the classroom. I want folks to remember that banning laptops may create a situation where students with an accommodation for a learning disability are forced to disclose that they have a learning disability. This forced disclosure may not be an issue for some students—they may not complain or make much of the ban, or they might not care that they are the only student in a 70+ class who has his/her laptop out in a no-laptop use classroom. So, a complete laptop ban may not be that much of an issue for some students. But, it could still be an issue. If you are a strong proponent for absolutely no laptop use in class, perhaps your student affairs office might be able to not place students who have laptop use as an accommodation in your class. Of course, this recommendation may only work if you happen to teach a course that is also offered during the same semester by a faculty member who does not have a laptop ban. Perhaps, someone like a student affairs or ASP professional may have a chat with those students who are disengaged in the classroom to see what may be contributing to the disengagement. Is it solely the laptop? Or, as those of us in the law school ASP world know, are there other academic or non-academic factors that may be impacting the student’s ability to “follow along in class”? Are the students distracted by a laptop disengaged because the laptop is in front of them? Or, is something happening outside of the classroom that may be motivating the student to disengage on the laptop? Could it be easier for a student who is having a challenging time in law school to disengage, rather than continuing to try and fail? One more recommendation if you are a strong proponent for absolutely no laptop use in class: maybe, reconsider why you have the no laptop policy in the first place. Do we assume that students who handwrite their notes never disengage? Or, can a student on a social media account be just as "zoned out" as someone daydreaming or drawing an elaborate doodle on his/her notebook paper? Do we assume that someone who has a laptop will automatically be programmed to type everything down verbatim in class and, thus, not follow along in the classroom dialogue? Do we assume that someone who is handwriting his/her notes will not automatically try to write everything (or as much) down in class and, thus, will follow along in the classroom dialogue? I suspect we have had many students in our classrooms who prove and disprove both assumptions. Do we assume that those students who are using a laptop are naturally worse note-takers—that they have not developed or cannot develop with guidance (from great ASP folks, like us!) effective methods for taking notes in a law school class? Do we assume that those students who handwrite their notes all have developed the proper method for effective and efficient ways to take notes in a law school class? Again, I suspect we have had many students in our classrooms who prove and disprove both assumptions. And, finally, are we even aware of, or do we automatically discount, the various computer applications out there that might be geared for diverse learning styles or that might help keep our students’ notes better organized? That got me thinking about life…my life as an Academic Support Professional. With the start of a new academic year upon us, perhaps this is an opportunity - as Goldie Pritchard puts it - to try something new. So, I've been thinking and reflecting about my life as an ASP-er, and, in particular, that I might focus on something new--serving as a coach to our law students. You see, and this is where the rub is, the most significant teachers in my life have, well, not just been teachers. Rather, they've been more than teachers; they've been coaches. And, not just sport coaches. More like life coaches. Whether they were teaching political science or trying to help me throw a ball, they all left indelible imprints, imprints that made me a better person and that went well beyond the classroom (or the baseball field)...because they taught me lessons that were much bigger than just about political science or baseball. Let me give you an example from political science. I once had a professor by the name of Sandel. No offense, but I can't recall the principles of Kant's categorical imperative or Hannah Arndt's political theories. But, I can vividly remember something much more important that I learned, in particular, to call people by their name…to invite students to comment and participate…to let people speak…by truly listening to them. Those were lessons well given. Or, in another context regarding life's many daily struggles, as Bernstein sums up in her column, coaches teach us lessons that help us when the going gets tough, for example, in Bernstein's words, "...when I’m on deadline or giving a speech to an intimidating crowd: You need to arrest a negative thought immediately, in midair. Remind yourself that you are competent and know what you’re doing. Slow your breath." Let me be frank. Those are the lessons that got me through law school. And, I learned them through teachers that were, really, coaches. Congratulations to all of the new 1Ls who will be arriving on our campuses this August! We look forward to your joining us in your journey to being attorneys. Spend time with family and friends. Your time as a law student will be very busy, so you want to have quality relaxation time this summer. Take advantage of this time to have family trips, lots of conversations, and companionship with the people who are special in your life. Get your finances in place as soon as possible. Make a budget that you can stick to during the semester so that you will not run out of money or run up credit card debt. Working during your first year of law school as a full-time student is not doable. Use the summer to get yourself in shape: regular exercise, good nutrition, a regular sleep schedule of 7-8 hours. Your brain will be doing heavy lifting for the next 3 years. You need to be healthy to have optimal learning. Many law students run into trouble because they do not take care of themselves, and their academics suffer. Undertake solid routines this summer to prepare yourself for a rigorous academic year, and then continue good routines during the year. If at all possible, move into your law school apartment at least two weeks before orientation begins. Get all of the boxes unpacked, the cable hooked up, the pictures hung, and the refrigerator stocked with nutritious foods. Explore your new city. Locate the pharmacy, dry cleaners, grocery store, and other necessities. You will have first-day reading assignments for your classes, and the work will not let up until the end of exams. You want your living situation completely settled before you start orientation and classes. Realize that law school is not the same as undergraduate school. You need to learn new study strategies to succeed in law school. Although you study cases on a daily basis, you need to synthesize material through outlines. Law school exams test differently than other disciplines; you are asked to apply the law to analyze new fact scenarios. Pay careful attention in orientation to study skill sessions and attend fall workshops provided by the academic support professionals at your law school. Realize also that you need to study more hours per week than you have ever had to study. You need to be organized, efficient, and effective in your studies. To achieve the best grades, you need to do more each week than just daily class preparation. You need to synthesize the material into outlines and review regularly to prepare for exams. You also need to complete practice questions throughout the semester to monitor your learning. Cramming does not work in law school. There is too much material to learn in the last few weeks. The rule of thumb to get all tasks done every week (class prep, outlines, review, practice questions, legal research and writing) is 50-55 hours per week. Analyze what your main distractions are and how they cause you to procrastinate. For many law students, the distractions are electronic: cell phone calls, email, texting, gaming. Law students cannot afford to waste hours a day on distractions. Weaning yourself from your electronic handcuffs over the summer will help you use time more effectively during the semester. Read as much as possible. Read a mix of fiction and non-fiction books. You need to get into training for reading 30-60 pages per night for each course. You will not be as shocked by the workload if you spend lots of time reading over the summer and practice reading for comprehension. I do not recommend trying to read torts, contracts, civil procedure, or other legal course materials over the summer. For the most part, you will get little out of it without the classroom experience. Plus, most law courses will not cover all of the topics that you are reading about on your own. There are some very good books on law school written by academic support professionals. I would recommend starting with Herb Ramy's Succeeding in Law School as summer reading. Ruth McKinney's Reading Like a Lawyer would be another good summer choice. During the school year, Alex Ruskell's A Weekly Guide to Being a Model Law Student can keep you on schedule. Carolina Academic Press has a wide variety of good books on law school, legal reasoning, and other law school topics. Non-lawyer family members will not fully understand what your future 3 years will be like - unless you go to law school, it is hard to understand the demands. You may want to share Andrew McClurg's book entitled A Companion Text to Law School with them to help them to understand what your three years will be like. This fall, I completed my eleventh orientation at my law school. It hardly seems possible. This year, our keynote speaker was a person named Maureen Sanders. She was chosen because she embodies all the qualities one would want in a law school orientation speaker. She is a graduate of our school. She was a tenured professor and currently teaches as an adjunct professor. She has a thriving private practice specializing in civil rights and constitutional law. Finally, she is an eloquent and entertaining speaker. With her permission, I am sharing her “tips” from her talk. It strikes me that many orientation speakers give similar advice to incoming first year students. I hope that as students settle in to their schedules and routines they will not forget the advice that Professor Sanders shares and that is likely similar to advice given at many other law schools at their orientations. Tip #1: Remember that how you act here over the next three years will be remembered by your classmates, your professors and the law school community staff. Tip #2: Keep your life. Remain human. Remember how to talk about something other than the law so your “people” will still like you and so you won’t forget how to talk to “real” people because one of the most important skills you need as a lawyer is the ability to listen, really listen to people from all walks of life…no matter what kind of law you end up doing. Tip #3 Spend some time while you are in law school figuring out what you can do to contribute to your communities…what do you care about?….animals, education, wilderness, mental illness, homeless, open government, less government, more government, --be a part of the community dialogue and action as a law student and later as a lawyer. Tip #4: Don’t become a lawyer whose reputation is that your opposing counsel must put everything in writing because you can’t be trusted. So back to my point….which if I haven’t been clear is-----be a professional law student. Tip #5 Don’t think, ”I don’t really need to know this, because I’m going to do this other kind of law”….well you just never know. And even if you stay the course you anticipate, in order to do one kind of law, you need to know the other areas to do the job for your clients. • Get your oil changed. Make sure you have reliable transportation. Get that bus pass. Have your car in good working condition. • Get your teeth cleaned. Make sure you are in good health and that your health insurance is in order. Law school literally makes some people sick. Get your check-ups. Fill your prescriptions. Have a supply of a good multivitamin. • Make sure you have a good study space prepared in your house. Nothing is more distracting than trying to study in the TV room while your spouse and kids are watching America’s Got Talent. Have a place that you can retreat to which is quiet and private. Have a space for your books and study materials. • Buy a thumb drive that is exclusively dedicated to law school use. Set up files and folders for each class. Calendar a weekly backup. Students have suffered a poor grade in class because of some IT disaster, and had no back up of important paper drafts or assignments. • Activate your university net id account. Get your email account set up if possible. • Get your student photo id if possible. • Make sure your FASFA is in order. Have your finances in order. • Read a book for pleasure. • Take some time to talk to your loved ones about what your life in law school will be like. Negotiate household chores. Stay connected to your family by contributing but have a plan for when you are extra busy with studying or a deadline. • Read a book about law school study tips and success such as Herb Ramy’s book, Succeeding in Law School. • Look up your school’s honor code online and read it. • Buy your school supplies. • Have lunch with a close friend. Ask them to promise to email or call you every two weeks to check in and see how you are doing once school starts. • Make sure your laptop is in good shape. If you don’t have one, buy one now and get it set up before school starts. Run the antivirus program. Buy an extra ream of copy paper and printer ink jet cartridge. • Evaluate your distractors and eliminate them now– Facebook is not your friend. • Meet the librarians in your law library. • Connect with your classmates. • Make a plan for self-care. What will be your exercise plan? What are your meal plans? Will you cook for yourself or do you negotiate with your partner about healthy meals? • Buy your books, if possible. • Know your learning style. Take the VARK. • Meet your Academic Support Professional. Introduce yourself. Pledge that you will attend their workshops and visit during office hours. As I imagine is the case in most law schools, our orientation at South Carolina is absolutely packed. This year, I only had 20 minutes to speak, where in years past I might have had an hour or two. I used to try to cram in as much as I could -- from time management to study groups to stress to exam writing -- but this year there was no way I could do so. Consequently, I took a different approach and focused on the Top Eight Regrets of Students Who Did Poorly in Their First Semester (I am a huge fan of listicles -- I'll read anything if the title has "Top" followed by some number -- considering the success of Buzzfeed and Cracked, I have the feeling many of our students feel the same way). 1. Didn't attend tutoring or Academic Success Workshops. 2. Didn't have or stick to a strict study schedule (treat law school like a job). 3. Didn't outline until the very end of the semester (or relied on other students' outlines). 4. Didn't meet with their professors. 5. Treated law school like undergrad. 6. Let Legal Research, Analysis, and Writing get away from them. 7. Spent all of their time reading and preparing for class -- did not do practice questions, work on oultines, or meet with study groups. 8. Let law school stress overwhelm them. Orientation! The 1L's Have Arrived! 1) Orientation is the time to set the tone for law school. Orientation sets the tone, and too often, the tone is "let's scare you out of your wits." It's hard to come back from that. Let them know it's hard work, but you are their for them, and they can succeed. If students start the year feeling like their faculty and administration are unapproachable, they will not approach. I know some crotchety professors think that is a good idea--they are wrong. If a student can't talk to you before a small issue becomes a major catastrophe, you will be dealing with that major catastrophe for a long time. 2) Orientation is not the time to practice "hide the ball" with new students. Most law schools have a practice class during orientation (ours is tonight). Too many times, I have seen professors try to prove how clever they are by starting with "hide the ball." It's a very bad idea. "Hide the ball" is a bad idea, but it's a very bad idea during orientation because the students have no context. They have no idea that "hide the ball" is a method of teaching word clarification, examining ambiguity, or eliciting student opinions. It's a technique that alienates and confuses students when they already feel overwhelmed. 3) They don't need to know everything right now...so follow up! I am guilty of the belief that I need to teach them everything up to outlining in orientation. But too much information too soon just confuses new students. They need the essentials; how to read, how to brief, and where to go for more information. Save the advanced lessons for workshops later in the semester. This also saves you a major headache; if you overwhelm students during orientation, you will just need to re-teach the lessons at a later date anyway. 4) Orientation should be a whole-school event. Orientation should not be an ASP-and-legal writing affair; the whole school should be a part of orientation. Let students meet the amazing night staff in the library. Introduce them to the maintenance staff who will save them when they lock themselves out of the building, their car, or get trapped in an elevator or bathroom. Let them meet ALL the professors; show them that the entire school is behind their success. Move in a few days ahead of time to get unpacked and settled. You will feel less hassled if your apartment is ready, you have explored your new city, and you have taken care of cable, Internet, and errands before orientation begins. Take care of as many school-related tasks as you can beforehand: parking permit, school e-mail account, immunizations, payment of bills, and other items. Most law schools have ways for you to accomplish many tasks on-line ahead of your arrival. Make a list of the reasons why you want to go to law school and to be a lawyer. When you get tired during the semester, the list will remind you why all of the hard work is worth it. Make a list of the personal attributes that you have and the values that you hold dear. These things make you unique and worthwhile as a person. When you get overwhelmed and begin to wonder who you are, the list will ground you and remind you that you are still that unique and valuable person. Consider what you want to say to introduce yourself to the myriad of new people you will meet. Everyone who is a new first-year student is outstanding, so bragging and bravado will probably be less successful than you may think. You want to come across confident and genuine. Also think about the different audiences that you will be meeting: fellow 1L students; upper-division students; professors; decanal staff. Spend time with your family and friends now. You are going to enter a very busy phase in your life. You will not have the same amount of leisure time as you have been used to previously. Fill your last summer days with quality time spent with others. Participate in your favorite activities before you leave home. Go to the movies; play pool with friends; go hiking or camping; spend the evenings salsa dancing; read fluff novels. You can have regular down time in law school if you manage your time well. However, some activities may need to be saved for special occasions or vacations rather than being weekly events. Prepare your mind set for new experiences, different challenges, and the need to adopt new strategies. Law school will require new study methods, present new ways of writing, and require acceptance of "it depends" analysis. You will be less stressed if you can remain flexible and open to new ideas and methods. Most law students feel uncertain initially until they gain more expertise in this new environment. Get in touch with your spiritual side. Whatever your belief system is, you will feel less alone and overwhelmed if you are not carrying the weight of the world all by yourself. Get plenty of sleep and establish a routine now. For your brain to work well, you need at least 7-8 hours of sleep at regular times each night. Start going to bed and getting up now to match what your class schedule will be. If you do not know your classes yet, aim for 11 p.m. bed time and 7 a.m. wake up.